Today, the evolutionary trend and the vast acquisition of the latest development structures and tools in our world is fast reaching places. Crypto currencies will be a widely accepted means for exchange as the world proceeds and we are happy that YouSeeMe is just a link connecting crypto communities and traditional consumers today. This is just for you and for everyone, be sure you share in the advantages of this beautiful advancement brought by YouSeeMe. YouSeeMe is an ecosystem of firewall and loyalty awards, which connects crypto communities and traditional consumers. Youseeme allows buyers not to manage various loyalty programs and redeem prize points at different retailers. All these loyalty points accumulated (Bartcoin) can be spent at all retailers in the Youseeme network (restaurants, shops, etc …). Buyers immediately find out their wallet balance and bartcoin available. Youseeme Wallet offers safe and fast transactions, online shopping (M-commerce) and easy money transfer between wallets (for example: sharing bills, sending money to someone across the country, etc. YouSeeMe is the first electronic wallet combining payment and trading functions. Now you can share with friends and family, pay for purchases, trade cryptocurrency and traditional assets and goods and store any of your assets in a safe place. The project combines two applications at once. This is the YouSeeMe app and the Bartwallet app. This is the first Ewallet to combine the payment and trade functions of the all-in-one Share with friends and family, pay merchants, exchange cryptocurrency, or assets and commodities and store them safely in your wallet portfolio. 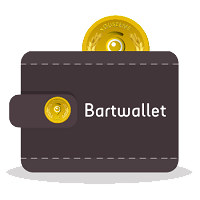 The Bartwallet application will be launched in Q1 2019, will offer next generation trading solutions for cryptocurrency and tokens. This exchange will support Bitcoin and Ethereum (which will come for other cryptocurrency), and Bartcoin (BARC). The exchange platform will offer high liquidity, transparent order books, and low and flat costs for all trades. This application can be installed on all types of smartphones. 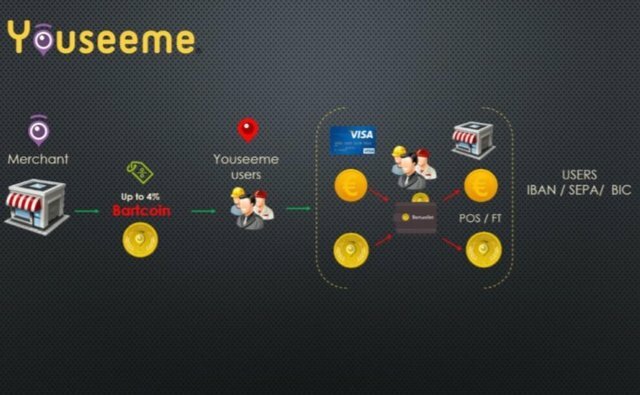 The Youseeme application facilitates the transition between the virtual world and the real world, it will allow you to spend money on Bartwallet thanks to Bartcoin cryptocurrency, so, for example, you can change Bitcoin, Ethereum or other cryptocurrency to Bartcoin and pay for your purchases through Youseeme at merchants ( shops, restaurants, …) and with just a few clicks, you can easily follow the history of all your transactions online. Make your purchase and pay through Yousseme eWallet, no need to use a credit card. Share taxi fares with your friends or simply send a part of your rent to your roommate, all this with the Youseeme app. Buy and sell your cryptocurrency wherever you are, collect your transactions and choose to change them instantly to Bartcoin or Euro anytime. Always available, see your transaction history and manage your Bartwallet 24 hours a day. 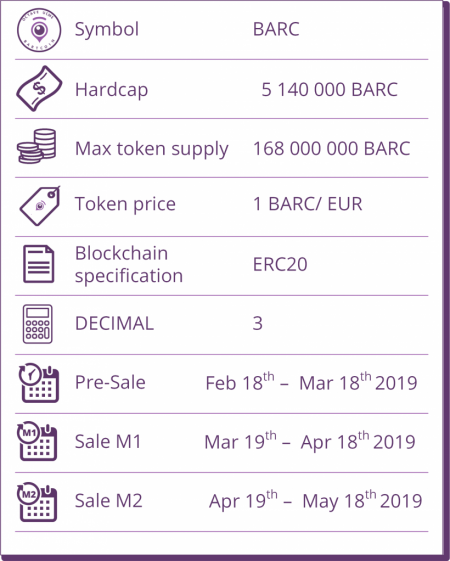 Bartcoin (BARC) is a protocol based on Ethereum Blockchain (ERC20), where retailers can reward buyers for various behaviors such as spending money in their store and accepting to share their information with Bartcoin. Buyers can then spend their Bartcoin tokens on all traders on the network for future purchases or trade them on the Bartwallet platform. Wallet Cryptocurrency now offers asset trading and trading. The fact that Blockchain’s technology and tokenisation are not limited to the financial sector. Blockchain Has Opened New Words For Creative Business Thoughts to Explore. Pre-ICO and ICO will take place from 18 February 2019 to 18 May 2019.